LAS VEGAS – The Anti-Defamation League has appointed Georgia Neu as Nevada’s director of its No Place for Hate initiative, which helps schools and communities work together to develop projects that enhance the appreciation of diversity and foster harmony amongst diverse groups. The campaign empowers communities, especially schools, to promote respect for individual and group differences while challenging prejudice and bigotry. The program gives students, teachers and parents the tools they need to combat both bullying and online cyberbullying, which is increasing at an alarming rate. The Anti-Defamation League, founded in 1913, is the world’s leading organization fighting hate, prejudice, and bigotry. Neu is best known locally for pioneering and establishing the first AIDS hotline in Nevada through The Warren Project and also for founding and operating the Actors Repertory Theatre (ART), which provided classical, modem and family theatre under the jurisdiction of Actors Equity Association (the only union for professional actors in the legitimate theater). During her 15 years with ART, she produced the work of Pulitzer winning female playwrights; introduced American classics to thousands of Nevada children; and led the organization in raising more than $50,000 for other charities. Through fundraising events, grant writing and board involvement, Neu was able to reduce the nonprofit organization’s deficit of $118,000 to $16,000 during her last two years with ART. 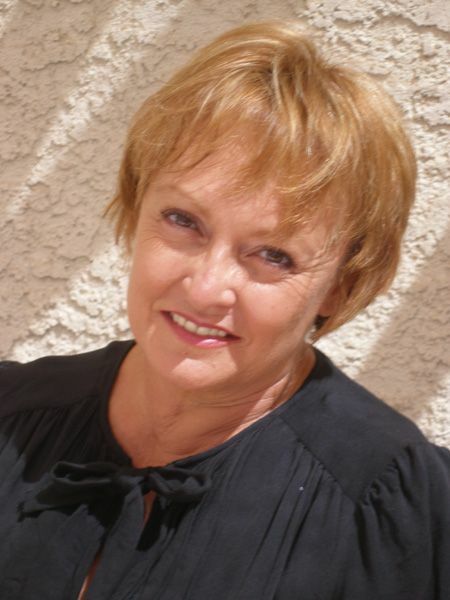 Just prior to joining the Anti-Defamation League, Neu served as the Southern Nevada representative for Nevada Humanities, a statewide nonprofit organization, where she helped coordinate the Vegas Valley Book Festival. For her work, Neu has been honored with many awards, including Woman of Distinction Award 2000 by the National Association of Women Business Owners; Women of Achievement (Category: Arts) by the Las Vegas Chamber of Commerce; and Women of Diversity 100 (Women Who Shaped the 1st Century of Las Vegas History). Neu earned her bachelor’s degree in music and theatre from the Cincinnati Conservatory of Music and her master’s degree in education from Sierra Nevada College. The Anti-Defamation League was founded in 1913 to stop the defamation of the Jewish people and to secure justice and fair treatment to all. Now the nation’s premier civil rights/human relations agency, ADL fights anti-Semitism and all forms of bigotry, defends democratic ideals and protects civil rights for all. For more information on the Anti-Defamation League, call 702-862-8600.